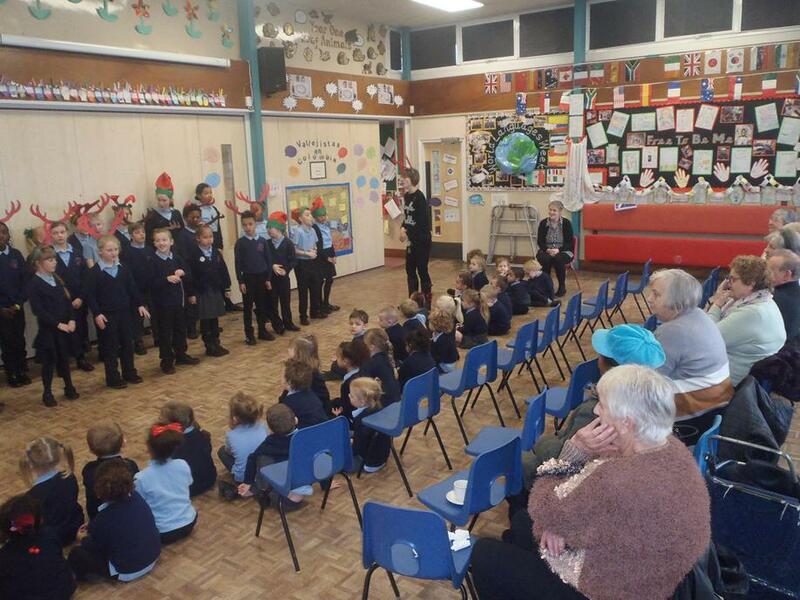 On Monday December 11th a few members of the Rise Park Community over 60's club came into school to listen to our school choir perform a few Christmas songs. The nursery children joined us and performed their Wiggly Nativity song. Our guests enjoyed homemade mince pies and a hot drink. As you can see, the club really did enjoy the sing along and told us that they can't wait for next year's show!